This is the translation of an interview published in the Taiwanese ‘Storm‘ e-magazine and Hong Kong ‘Standnews‘. 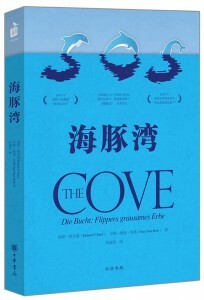 The newly published book ‘The Cove’ (Dolphin Bay) in simplified Chinese. T he construction boom of aquaria and theme parks in mainland China is at its height, with audiences creating a huge demand for live dolphin shows, making China the biggest importer of captured wild dolphins. In a small bay known as ‘The Cove’ in the notorious town of Taiji in Japan, over the past 6 years up to 30% – that is over 200 in number – of its captured live dolphins have been exported to China, thus the dolphin hunting industry there continues unabated. Because of the fact that China has become the largest market for live dolphins, Richard O’Barry, the renowned conservationist and star of the Oscar winning Documentary The Cove, and Swiss journalist Hans Peter Roth, who co-authored the book of the same name, visited China in April this year to launch a Simplified Chinese version. They visited four Chinese cities to promote the book, including Beijing and Shanghai, in the hope of increasing environmental awareness amongst the Chinese people, and thus reduce their appetite for dolphin shows. German independent environmentalist Sasha Abdolmajid accompanied them on the book tour, and together the trio paid visits to local aquaria. Sasha has uploaded photos showing the dolphins’ captive environment onto his website Ceta Journal, where he hopes to attract worldwide attention to their plight. Sasha was interviewed recently and talked at length about his experiences in mainland China, as well as his views on Hong Kong’s ‘Ocean Park’. He believes that Ocean Park, as a leading theme park in the region, should stop justifying and continuing its dolphin shows on the grounds of conservation. 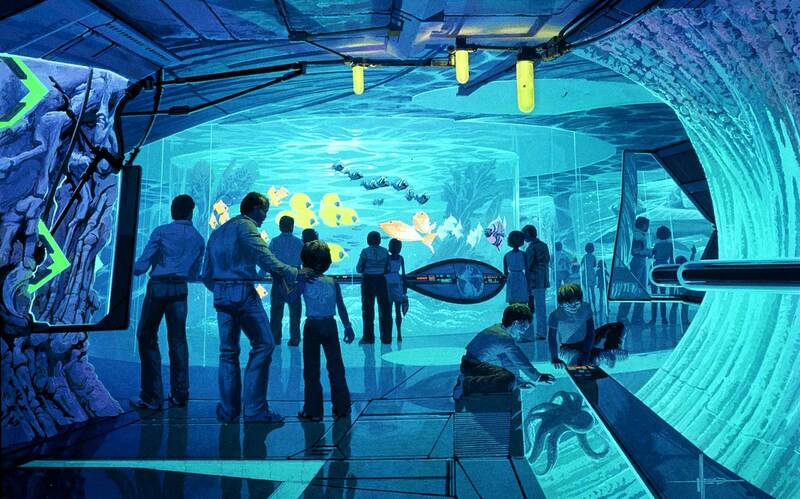 Instead, it should attempt to create a high-tech ‘virtual reality‘ in lieu of holding live dolphins captive. This would also serve as an example to other dolphinaria in the region, to abandon the practice of keeping live dolphins altogether. 1) What are your concerns regarding the building boom of dolphinaria in the region? Sasha: This trend really worries me. Every dolphinarium built means more dolphins will be captured from the wild. Dolphinaria often emphasise the “educational value” of dolphin shows, but without a doubt, such claims are utterly false. 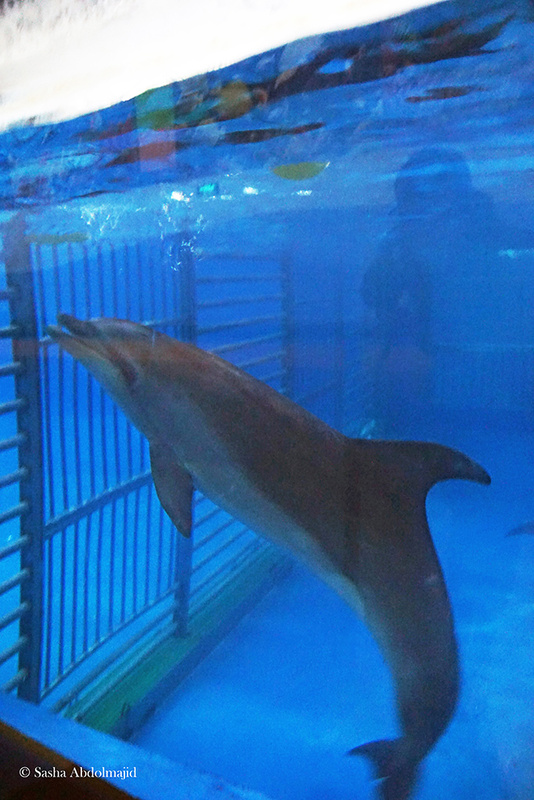 When dolphins are held captive, they are under constant stress and being forced to perform adds to that. This results in behavioural problems and other issues that put their health at risk. 2) Hong Kong Ocean Park claims that none of its dolphins are captured from the wild, and that being held in captivity actually means they receive better care and live longer than those in the wild. What is your view on this? Sasha: This is plainly ridiculous and wrong since studies have already shown that dolphins held in captivity have a shorter lifespan. In the wild, dolphins live with their families in social groups and can swim freely for dozens of miles each day; but in captivity, their tiny tanks greatly limit the scope of their activities. Since they have to suffer overcrowding, noise, infections and pressure to perform, they don’t live as long as their wild counterparts. 3) What do you think of the dolphin facilities at Hong Kong’s Ocean Park? 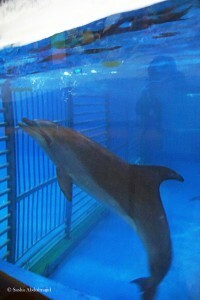 Sasha: Relatively speaking, the facility’s environment is better than most dolphinaria in south-east Asia. Most in south-east Asia and China are tiny which creates even worse conditions for the dolphins. But no matter how large a tank, it is still just a chlorine-saturated prison to the dolphins. 4) In recent years, conservationists have been vocally supporting the ‘Empty the Tanks’ campaign, what is your take on its impact to animal welfare in the region? Sasha: The objective of Empty the Tanks is very clear, to shut down every dolphinarium worldwide so that dolphins no longer have to suffer in captivity. Switzerland, the United Kingdom, Norway and Croatia can serve as role models, they no longer operate any such facilities so are not importing captured dolphins. In 2013, India also announced a ban on dolphin shows saying that because of their high intelligence, keeping dolphins for human entertainment should be considered “immoral” behaviour. 5) What are your suggestions to Ocean Park? Sasha: As the leading theme park in the region, Ocean Park has many recreational facilities for people to enjoy. I believe the closure of its dolphinarium (Ocean Theatre) would have no adverse impact on its visitor numbers. On the contrary, when cutting-edge technology is applied intelligently, the chances are it could become an even more popular attraction for tourists, and at the same time promote conservation. A case in point would be having a digital interactive dolphin show created with 3D installations to replace the trained, but suffering, dolphins. As a leader in its field, Ocean Park has the wherewithal to be innovative which could set an example. 6) What can the public do for their part? Sasha: Very simple. Wherever you go, never visit a dolphinarium. 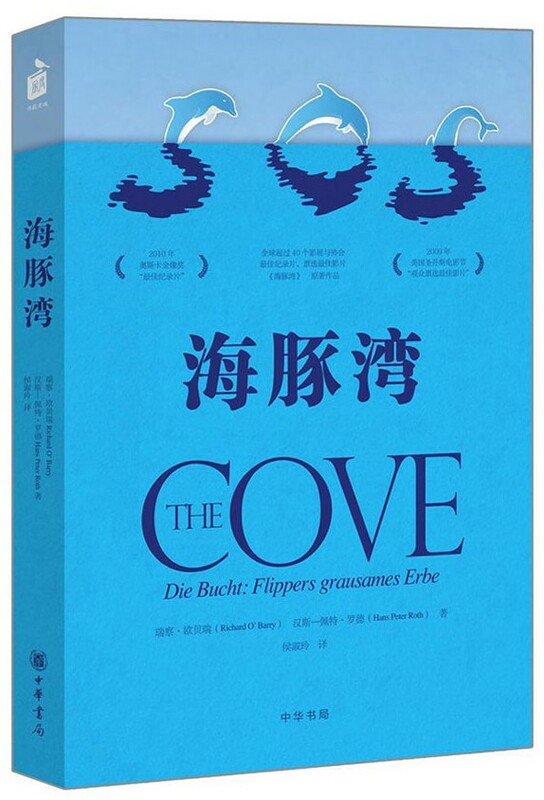 In addition to the film The Cove, the book of the same title was recently released in a Chinese version (Traditional Chinese version available here), and I think anyone who cares about dolphins should definitely watch and read these. Another film I recommend is Blackfish, a documentary released two years ago that recounts the deliberate killing of its trainers by a killer whale at the US facility ‘SeaWorld’, and highlights the cruel treatment these killer whales are subjected to. The film has caused a huge uproar in the United States. In recent months, even Harry Styles from ‘One Direction’ has urged fans to boycott Seaworld. The latest data available show that SeaWorld’s profits plunged by 84% in its last quarter and its share value has dropped by more than half from its peak. I believe the above information can help change the public’s mindset so that they no longer support captive dolphin shows.